It’s that time of year where all of us paint and color geeks eagerly await the paint companies’ picks for the annual colors of the year. Some of the paint companies have already announced their colors and I am so excited with the picks so far! 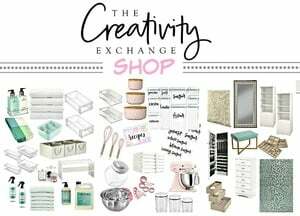 The 2018 Colors of the Year are all fantastic colors that I know will inspire you! Just look at this rich in depth and serene color! 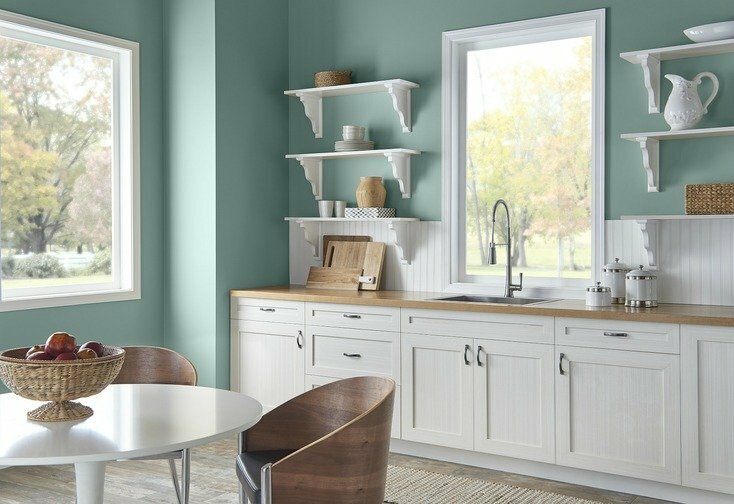 This blue/green/gray color is one of the most popular hues right now with consumers because it’s soothing and so versatile. 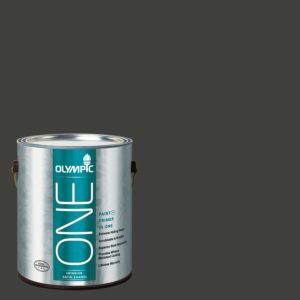 It’s also a fantastic color for anywhere in your home, including: exterior, interior, cabinets, etc.. This color would be GORGEOUS on a kitchen island! 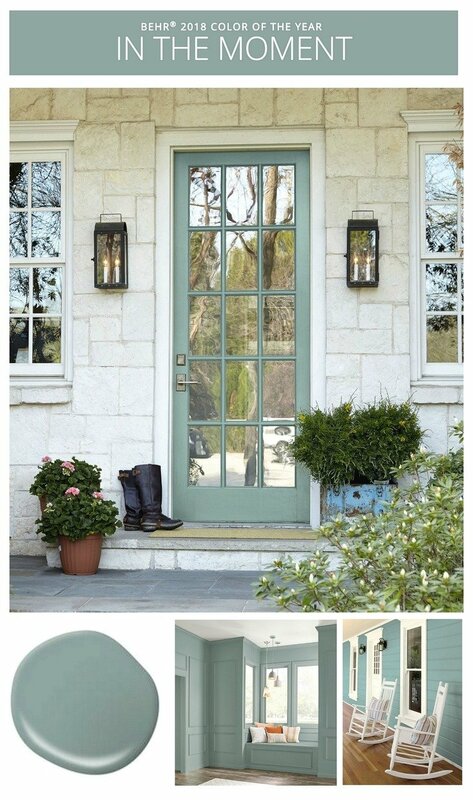 Need a new front door color? 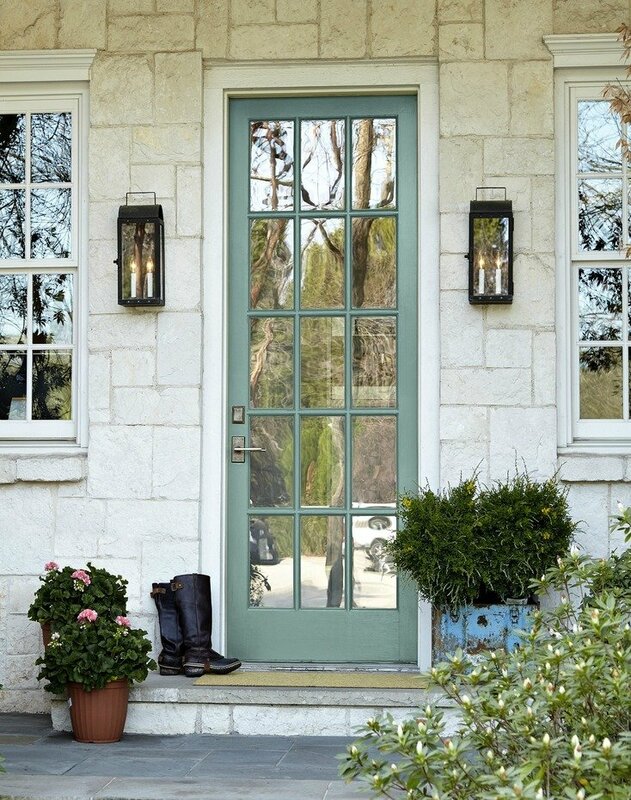 “In the Moment” is stunning on this front door! In the Moment is also a beautiful interior wall color! Oh the possibilities with this gorgeous color! 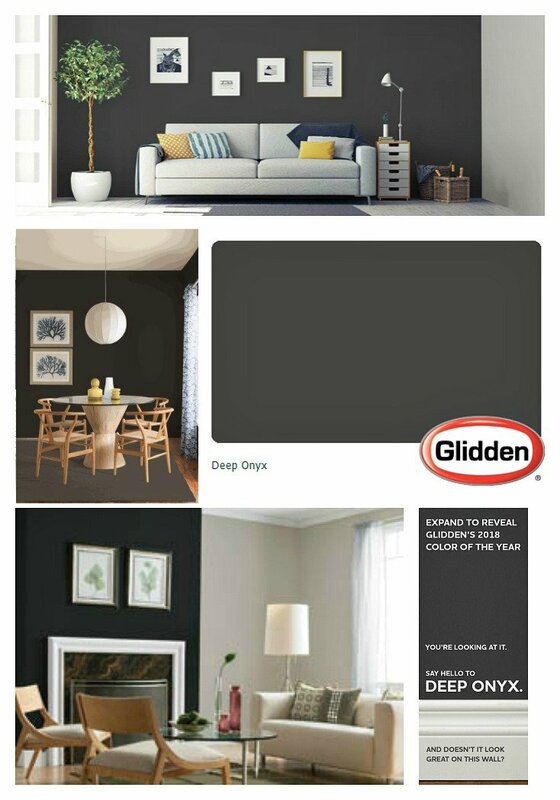 Glidden ‘s 2018 Color of the Year and it’s another fantastic color selection and it’s “Deep Onyx”. Again, another color that I’m really excited about! 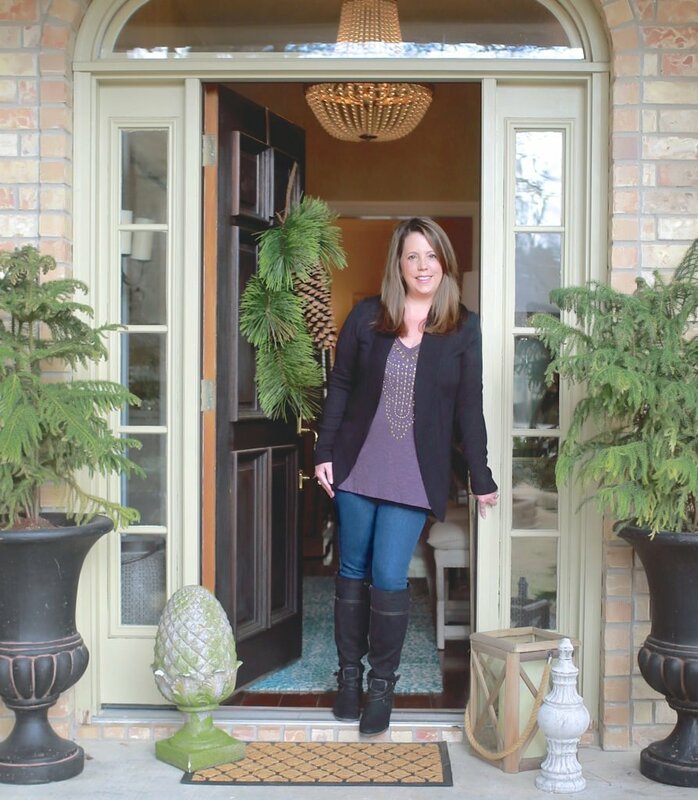 Deep Onyx is one of those almost blacks that I have been talking about on the blog over the years that is perfect for interior doors, exterior and cabinetry. Almost blacks are a great alternative to a strong true black because the gray in the undertone helps diffuse the boldness of black and I think it looks so much better than a true black. 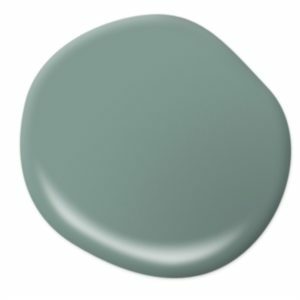 It’s also the perfect color for an interior accent wall! 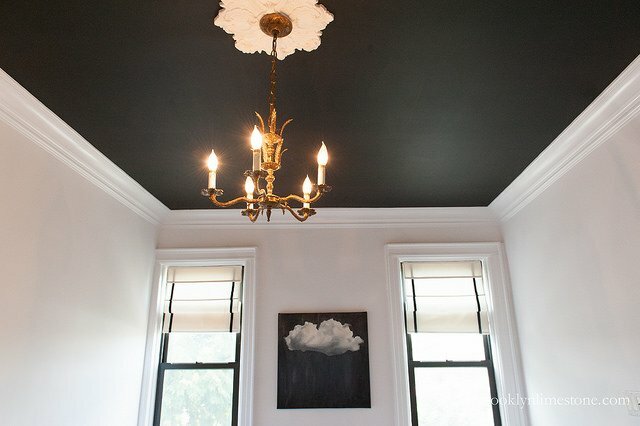 Brooklyn Limestone used Glidden’s Deep Onyx on her ceiling and WOW!! This color is so rich and fabulous! 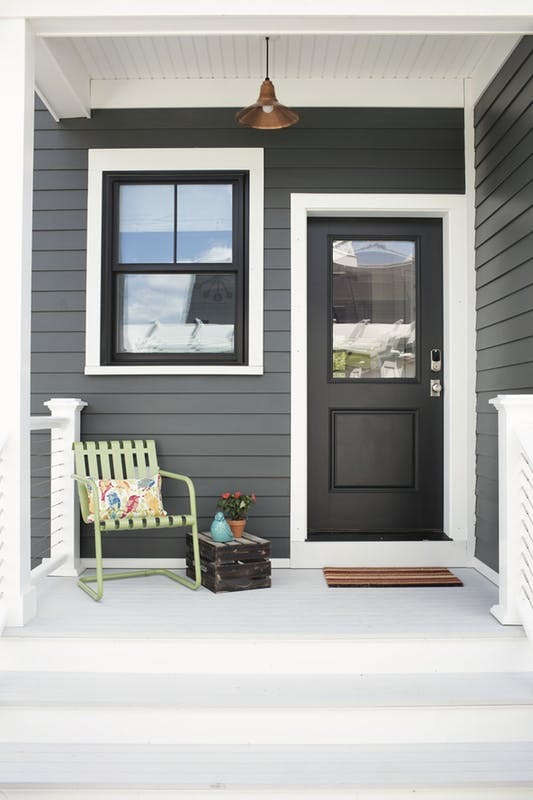 So if you need an almost black color, Glidden’s Deep Onyx is for sure a beautiful color to consider! 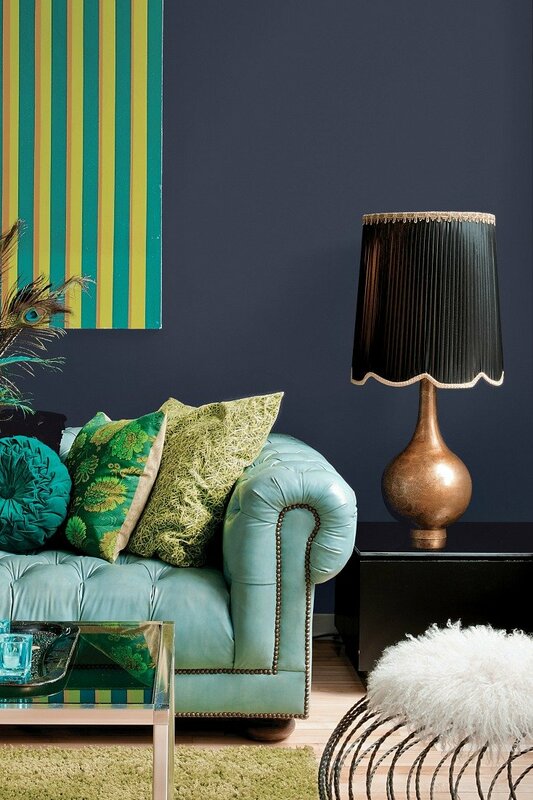 PPG Paints’ Black Flame is a rich almost black with a beautiful indigo undertone. 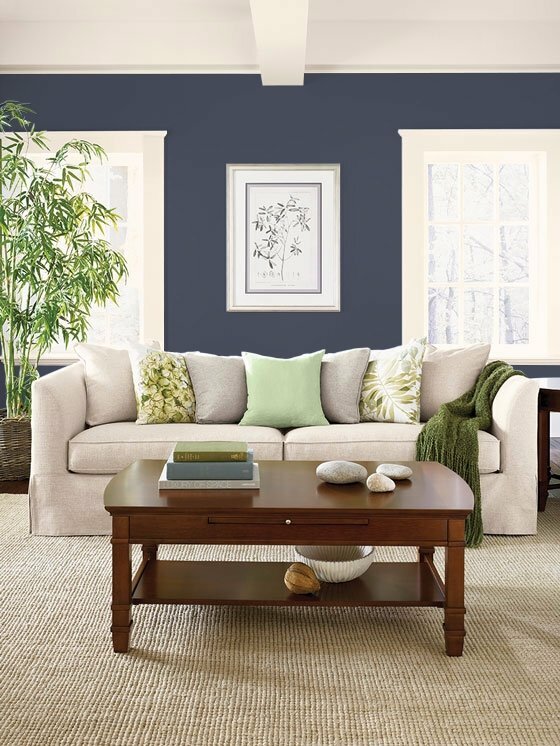 Interesting that indigo has both a blue and violet undertone, so this is truly a deep and rich color that is absolutely stunning on the wall! 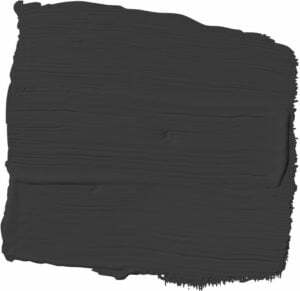 PPG Paints Black Flame would be a great accent wall color or I could see it in a powder room with brass fixtures. 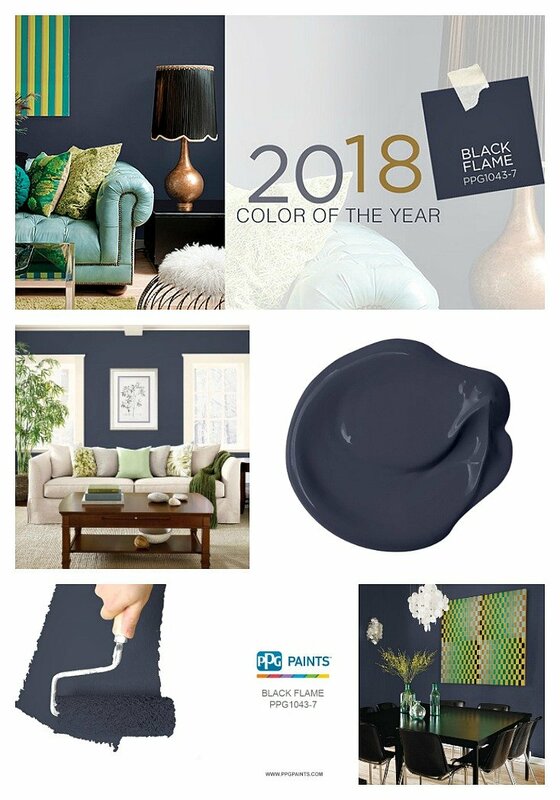 I think out of all the paint companies color picks, PPG Paints Black Flame is the best color representation of where (I think) we are heading in color in the next couple of years. Dark, rich accent colors on our walls, cabinetry and furniture balanced/complimented with light neutrals is what I think we’ll be seeing more of in 2018 and beyond. In fact, I saw a lot similar colors used on accent walls and cabinetry during the Salt Lake Parade of Homes a couple weeks ago. And yes! 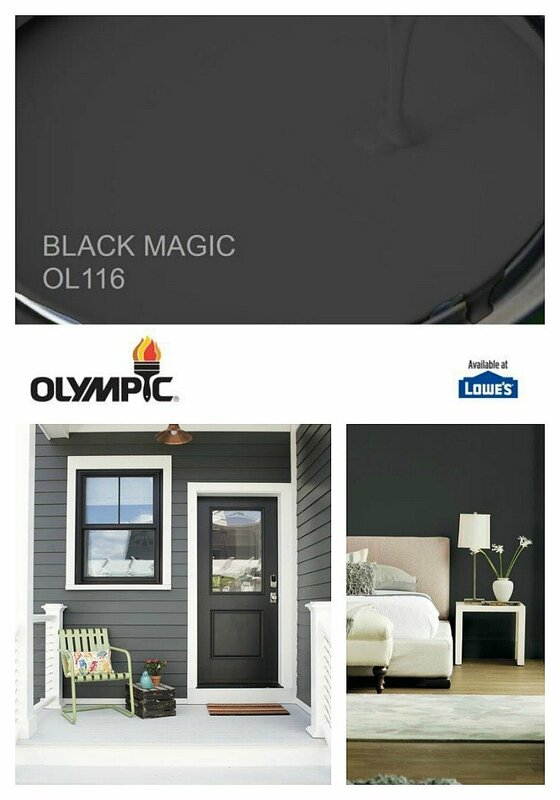 Still speaking of almost black, Olympic Paint also announced their 2018 Color of the Year and it’s “Black Magic”. Are you seeing the pattern here among the paint companies? Black Magic is the darkest of all the almost black 2018 Colors of the Year. 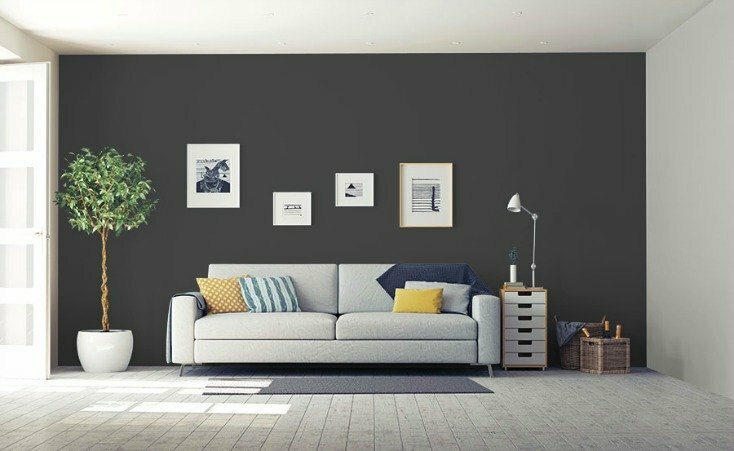 It’s very close to a traditional black but it has a grey undertone that helps diffuse the boldness of a tradtional black. 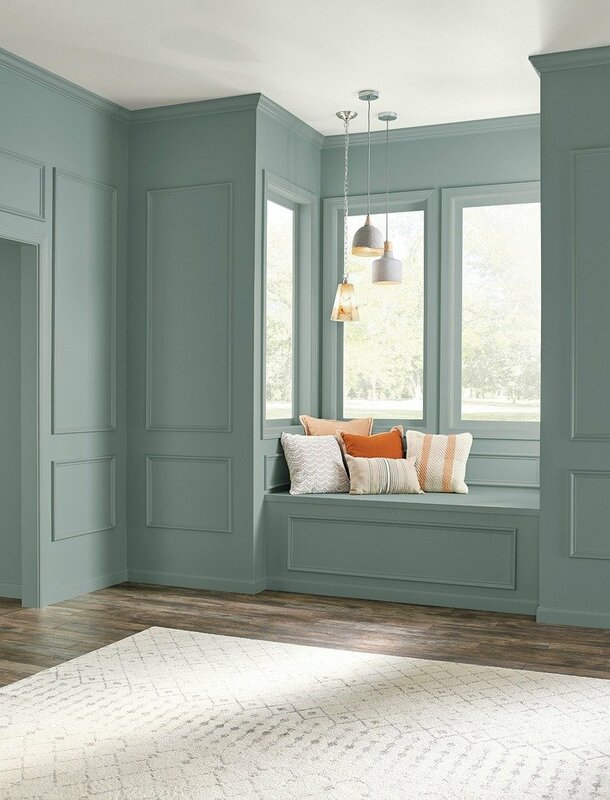 Dutch Boy Paints just announced their 2018 Color of the Year and surprise! It’s not black! It’s called Sandstone and it’s a beautiful warm greige. Benjamin Moore’s 2018 Color of the Year is called “Caliente”. I did not see this coming and was very surprised to see their pick is red. What do you guys think? 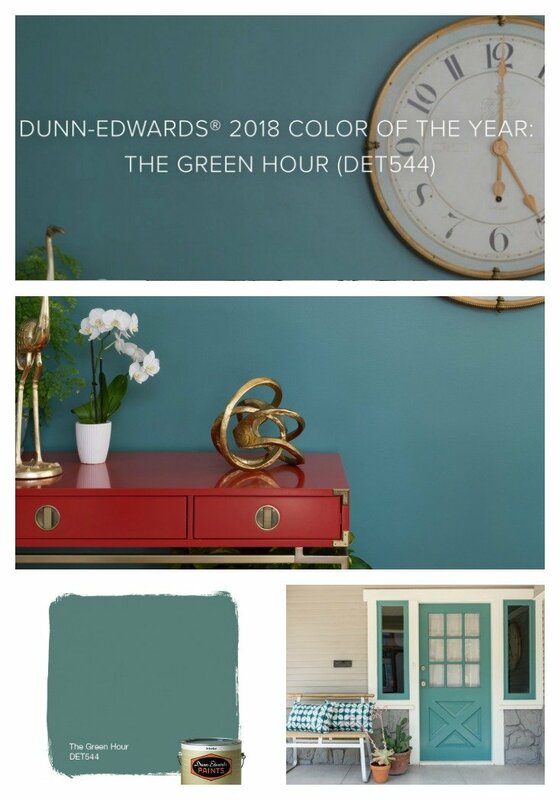 Dunn Edwards 2018 Color of the Year is called “The Green Hour”, which is a beautiful and rich green/blue teal color. 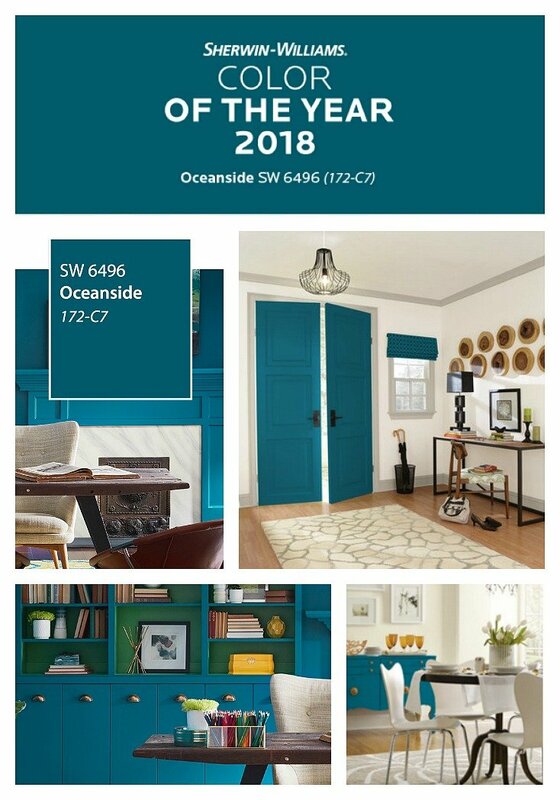 Sherwin Williams 2018 Color of the Year is called Oceanside. Another beautiful green/blue teal color. So what do you guys think? Which 2018 Color of the Year is your favorite color? Honestly, this is the first time that I can say that I love them all for various reasons/different uses in spaces. Benjamin Moore has yet to announce their colors but those should be out in a couple of weeks. I will add them here and update this post when they come out. I’ll also do a separate blog post highlighting those color picks, so be sure and subscribe for my post notifications directly sent to your email here. I’m so curious to hear what you guys think of these color picks! I would also love to know what colors you’re obsessed with right now. Leave your thoughts in the comment section so we can all see them and find new great colors! By the way, if you missed the 2017 Colors of the Year, you can find them all here. I’m constantly surprised that paint companies can make newer and prettier versions of colors that I already like. In the Moment is beautiful! I like that it is happy and peaceful at the same time. I just painted an accent wall with Kensington /valspar midnight oil and added 500 extra units of black to create an amazing flat blue black for wall to camouflage a 65 inch tv. I am obsessed with the color and demension next to my valspar Illusian Grey walls which we did in semi gloss. Love, love In the Moment. Great choice for colour of the year. I have been drawn to this colour for some time now. I just finished painting my front door in BM Boca Raton Blue, a lighter version but in the same colour family. I found the colour on some website and discovered it is no longer in the current colours for BM. I’m glad they found it in their archives but they bri g it back to the forefront again. Great article…thanks. That next to last sentence should read ” should bring it back to the forefront again”. 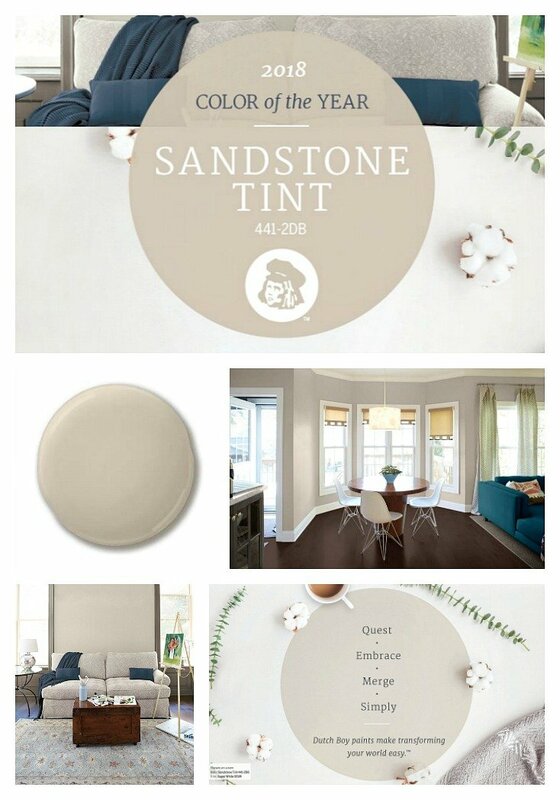 Check out Benjamin Moore “Beach Glass”. I think it is just about perfect. It is my choice for my Master BR in my new Jersey Shore home. Once you see the color swatch you may like some of the other lighter/darker shades. I really like the “Black Flame” and “In the Moment”. They are all very nice. 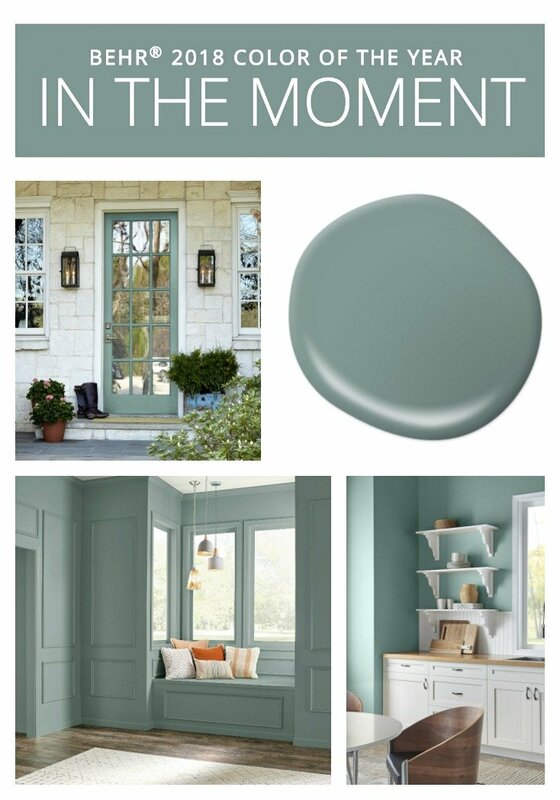 ” In the moment” is very close to the color we chose for the exterior of our new house, who would have guessed LOL. Just sided our very small home a medium gray. We have a new front door that needs some color (http://www.homedepot.com/p/Feather-River-Doors-37-5-in-x-81-625-in-Preston-Patina-Craftsman-Unfinished-Smooth-Fiberglass-Prehung-Front-Door-A43195/205998018). I am torn between painting it black or red or something completely different. Any suggestions? Was even thinking maybe Hale Navy or SW Naval. Bought Wrought Iron but I don’t think it’s dark enough. I absolutely love In the Moment and Black Flame, wow the depth of colour in both is amazing. I love, love, love the Caliente! I was so happy to see this color on the list! My favorite…so rich and bold and exciting! 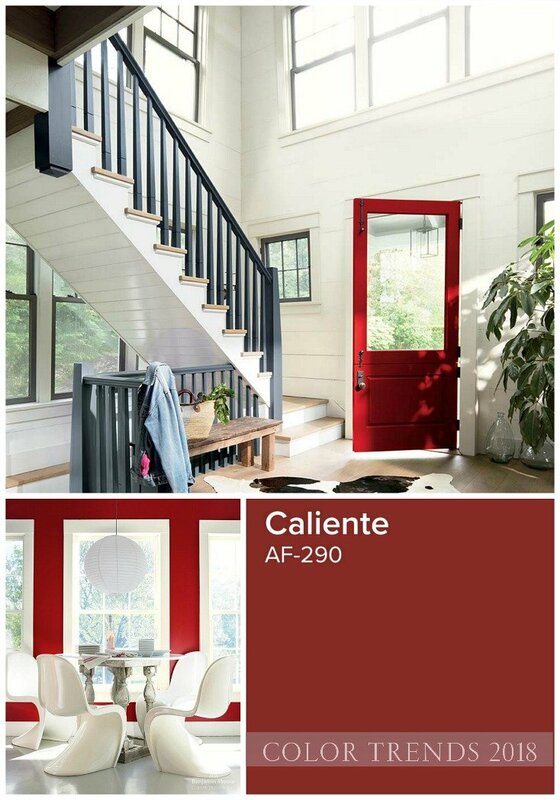 If you used the caliente as an accent color, what color would you paint the rest of the room? Hi. I came across “In the moment” on your post and love the color!! My husband wants to pick out something with a green tint to it. I am however not very good with color so I want to know your opinion whether you think it will be too much to use this color in all the rooms. Or at least dining room, front foyer, and the office which are all connected in one part of the house.